Captain’s log, stardate 67897.8, time for a weekly status update. It’s definitely a slow news week, so it will be a short post. This week’s post is featuring: work, baaldag, a zucchini flower, Ecuadorian universities and Cattle Decapitation. On the implementation side of work-related events, I’m working on a graph layout implementation. While I love coming up with ideas on this topic, the implementation of these ideas is not something particularly enjoyable to me. Except for when it will work, then I will be in love with it 😉 On the publication side, I’m working on a paper submission that is due in less than two weeks. I really love writing, so this is fun times to me. Fingers crossed for a strong accept! One of my foreign co-workers brought up the concept of a ‘baaldag’ on Tuesday during lunch. It seems to be a Dutch thing, but a baaldag is a day where you feel like crap and don’t want to leave the house. Your options include: a) calling in sick, b) going to work and acting cranky to your dear co-workers or c) taking a day off. I typically choose option c and this is exactly what happened on Wednesday. What a coincidence! 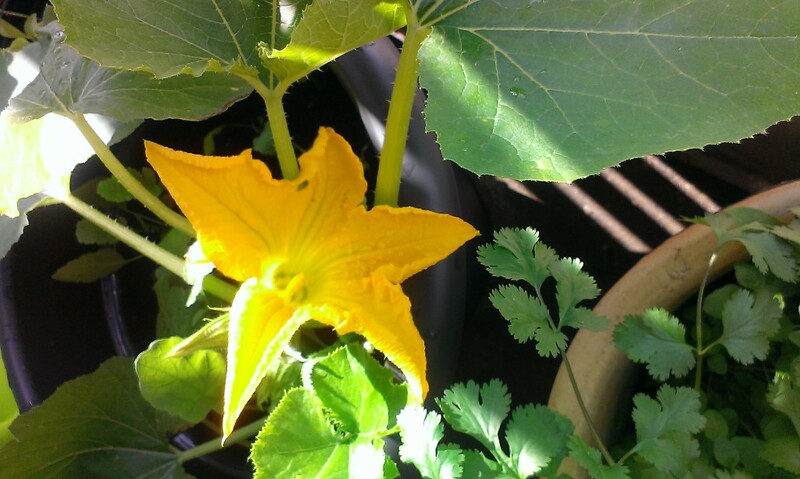 In happier news, the first flower of my zucchini plant was blossoming this week. Only to be destroyed by a heavy rainstorm later, but still. It was pretty! Alright, that’s all from me for now. Enjoy your week!